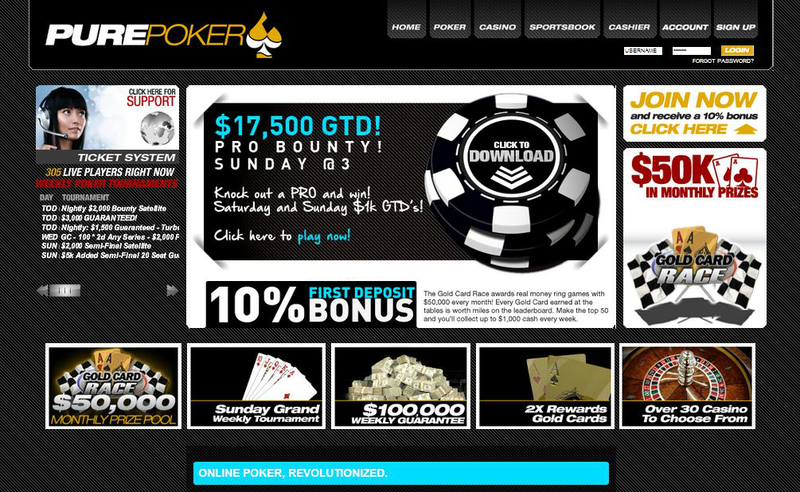 PurePoker is one of the latest additions in the burgeoning industry of Bitcoin poker rooms. However, it instantly attracts players from all over the world to play and stay on its gaming platform since it offers numerous advantages and features that are too good to miss. In fact, this Bitcoin betting site is known for its excellent poker performance, making Bitcoin Poker, not only an exciting, but also a rewarding game any player must make the most of. 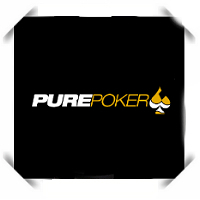 When playing at PurePoker, a player can be assured of a state-of-the-art gaming platform and functionality. With easy table navigation, the interface offers familiar functionality and improved visibility to the players, allowing them to make decisions easier. In addition, they provide simple table backgrounds, which players can customize depending on their preferences. Resizable table games are another commendable feature of this site since players are given the control to choose their own cake size in just one-button click. PurePoker make their multi-tabling feature remarkable with a synchronized break schedule for their entire tournament line-up. Given this, all tournaments will break at the same in 55 minutes past the hour. Hence, players can sit back and relax for a while without having the need to miss any of the actions at any of their tables. Getting started in this Bitcoin poker room is not only easy, but also lucrative. Players who will make their first deposit are entitled to receive 10% match deposit bonus to boost their bankroll. Of course, this doesn’t simply end there since there are still numerous rewards to take advantage of, such as ring games, daily guaranteed tournaments, frequent player rewards, and more. This is one of the most thrilling features offered at PurePoker. This competition awards real money ring games with $50,000 worth of cash prizes to be given away every month. Every gold card earned at the tables is definitely a good lift to get into the top spot of the leaderboard. If the player makes it to the top 50, he has the chance to collect up to $1,000 every week. Compatible to both OS and browser, this site’s poker game can be accessed and played in mobile device and android gadget, giving the players limitless opportunity to enjoy and even profit. There are also two ways available to begin the action of this game; it’s either by playing instantly, which requires Microsoft SilverLight or by simply downloading their free software. On the other hand, personal credentials are required when making an account, though payment transactions, both deposit and withdrawal, are almost instant. PurePoker is definitely a great choice if an advanced and convenient gaming experience is looked-for. With the aforementioned features and more, players can be assured to get the most out of their bitcoins when they play Bitcoin poker and have chances of earning big.